Protect Me With 3+ is an annual poster and video contest sponsored by the Partnership for Maternal and Child Health of Northern New Jersey and the New Jersey Department of Health. 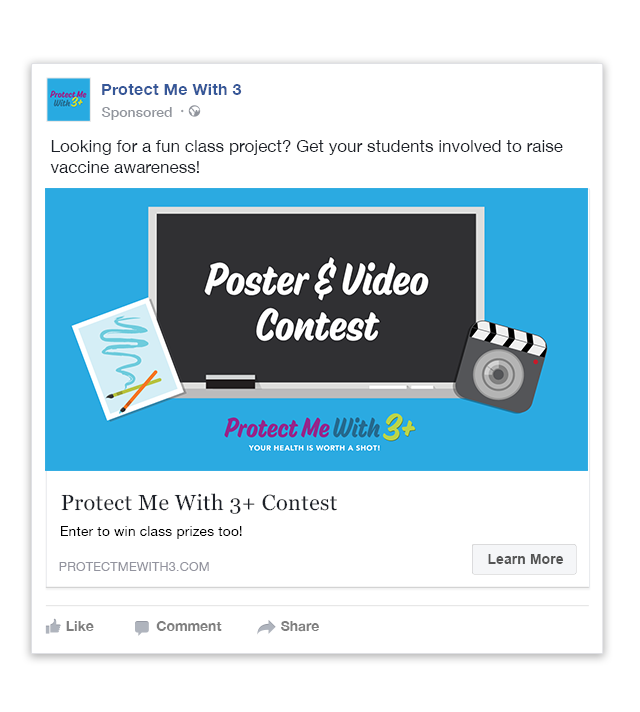 Protect Me With 3+ leverages the clinical expertise of the Partnership to raise student and parent awareness about the importance of adolescent vaccines. The committee needed help supporting a multi-channel marketing communications program to increase contest submissions and encourage broader participation by students across the state. Springboard worked with the committee to simplify the messaging related to vaccination awareness. It also provided a series of tools to encourage participation of the contest across the state. Springboard helped to facilitate the submission process. 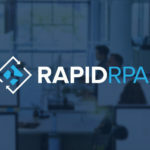 This included developing official contest rules and guidelines, collecting submissions, coordinating the judging process, and managing public voting activities. Springboard also assisted the committee in coordinating awards banquets to honor finalists and winners. 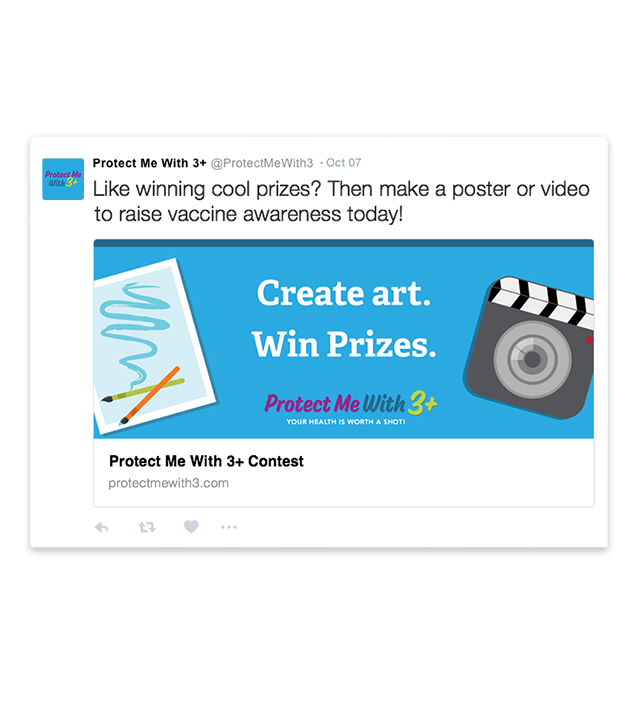 The Protect Me With 3+ website serves two main purposes: to provide information about vaccines for parents and adolescents and to act as the main vehicle for contest information and video submissions. Springboard updated the Protect Me With 3+ website with a cleaner design and added new sections to provide additional resources for parents, students, and teachers. Springboard integrated responsive design, making the website easily accessible across a broad range of devices and screen sizes. As part of the design process, Springboard refined the Protect Me With 3+ logo, making it more visually appealing across print and digital platforms. Springboard created a series of promotional materials such as brochures, infographics, a motion graphic video, and contest guidelines. In an effort to raise awareness and promote contest participation throughout New Jersey, Springboard executed several media campaigns aimed at local and state-level publications. Springboard also created a series of press releases and storylines to promote the contest, voting, and the selection of winners. To encourage contest participation and public voting, Springboard maintained multiple lists of educators, nurses, art schools, and students,and implemented a series of email marketing campaigns. Springboard implemented a social media campaign across Facebook and Twitter. Social was also utilized to target parents, health professionals, community organizations, and educators. To extend the reach of Protect Me With 3+ on social media platforms, Springboard developed paid Facebook and Twitter ads directed towards three custom target audiences: New Jersey middle and high school students, teachers, and parents of adolescents. Springboard implemented an incentive program to encourage “early-bird” participation. We reached out to local businesses and national chains to secure donations. Sponsors, including Chipotle, Mountain Creek, Adventure Aquarium, and Five Guys, donated gift cards and tickets. Supporting Protect Me With 3+ since 2014, Springboard has helped the Partnership more than quadrupled the number of poster and video submissions. 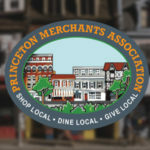 Each year the contest has received media coverage across a variety of local and state-level media publications, including NJTV News, Asbury Park Press, NJ.com, and myCentralJersey.com. Through marketing and social media campaigns, Springboard has also increased traffic to the Protect Me With 3+ website and social media platforms. As an extension of the committee, Springboard helped both the Partnership and the Department of Health reach their ultimate goal – to increase youth vaccination rates and keep New Jersey adolescents healthy. Interested in a branding project ?